The school runs special evening classes for up to 2 hours to the students of Standard X and XII who appear for the Public Examination. These special classes are handled by the regular teachers of the school. Retired college professors also join them to provide additional coaching as may be required. Snacks are provided by School Management as refreshments to the students as well as to the teachers. 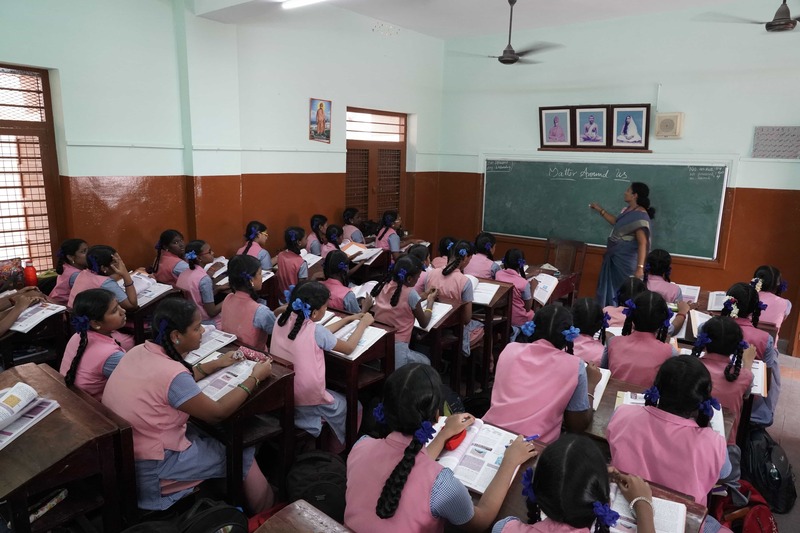 Free Spoken English classes are conducted for the Tamil medium sections from class VI to XI. They are divided into three small groups and in these classes, the girls are encouraged to speak in English without fear. 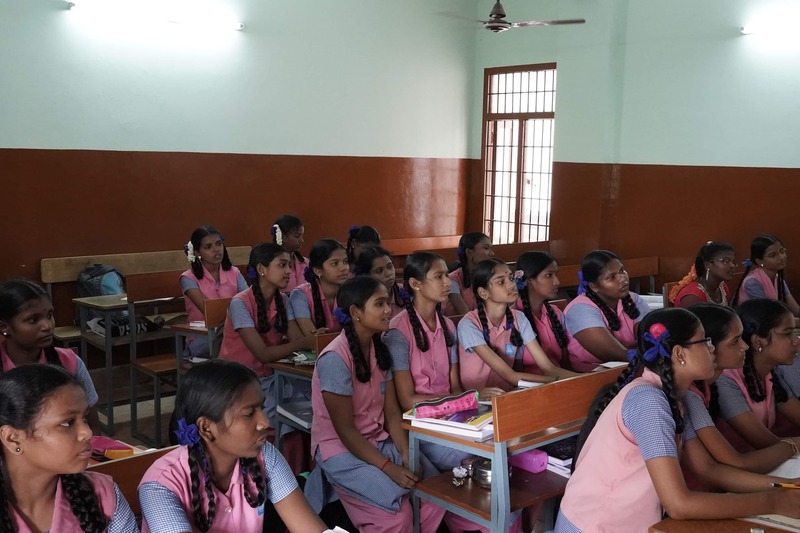 Tangible results are seen in the English speaking ability and the overall confidence level of the students have improved after attending these classes.